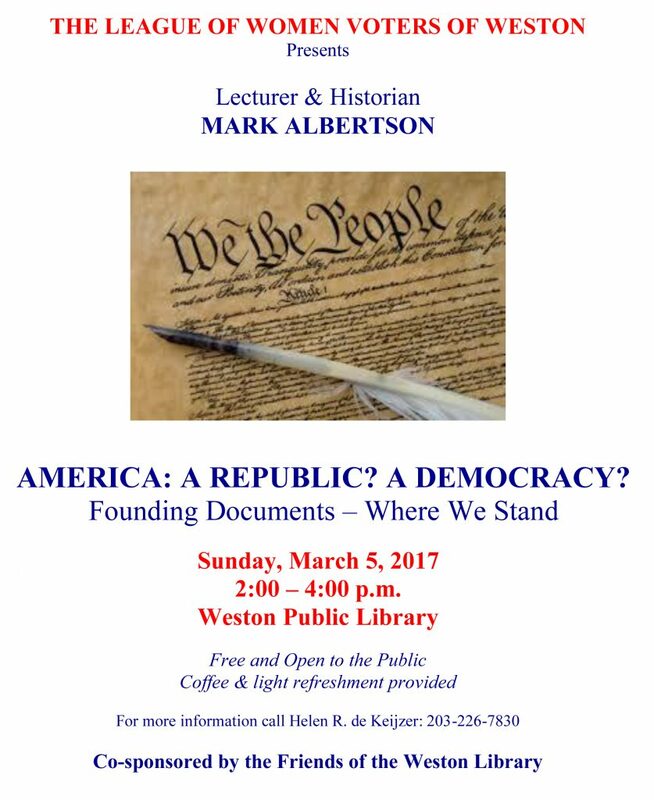 Join the LWV of Weston at the Library for AMERICA: A REPUBLIC? A DEMOCRACY? The League of Women Voters of Weston will be hosting Mark Albertson, Lecturer and Historian, to discuss the Founding Documents – Where We Stand. Next Next post: Join us JULY 8 at the Weston RTC Clam Bake !